Remove the drivetrain and front suspension frame skid plate. Refer to Drivetrain and Front Suspension Frame Skid Plate Replacement. Disconnect the heated oxygen sensor-2. Refer to Heated Oxygen Sensor Replacement - Sensor 2. 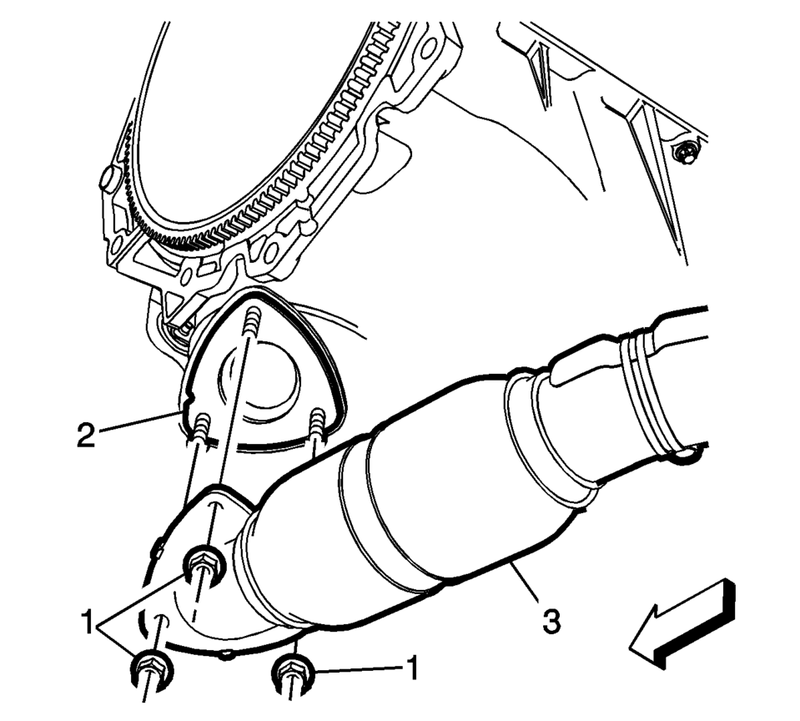 Remove the 3–way catalytic converter fasteners (1) and disconnect the 3-way catalytic converter (4) from the front pipe. 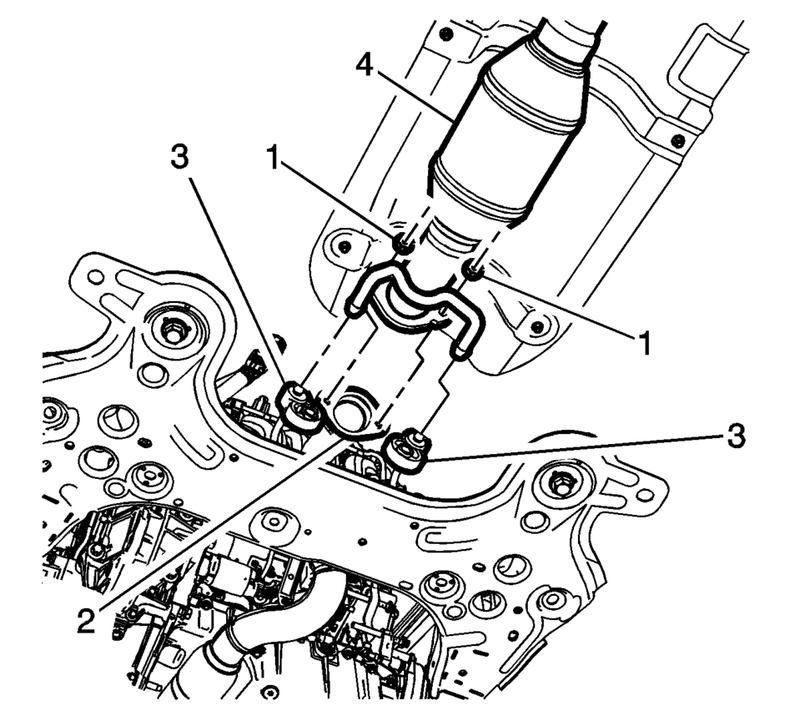 Discard the exhaust gasket (2). Remove the exhaust front pipe (3) to the catalytic converter fasteners (1). Remove the front pipe (3) from the catalytic converter and discard the exhaust gasket (2). Install a NEW gasket (2) to the exhaust front pipe. Position the exhaust front pipe (3) to the catalytic converter with a NEW gasket (2). Connect the heated oxygen sensor-2. Refer to Heated Oxygen Sensor Replacement - Sensor 2. Install the drivetrain and front suspension frame skid plate. Refer to Drivetrain and Front Suspension Frame Skid Plate Replacement. Start the engine and check for exhaust leaks.